If Jesus were born in 2016, what would a modern-day Nativity scene look like? 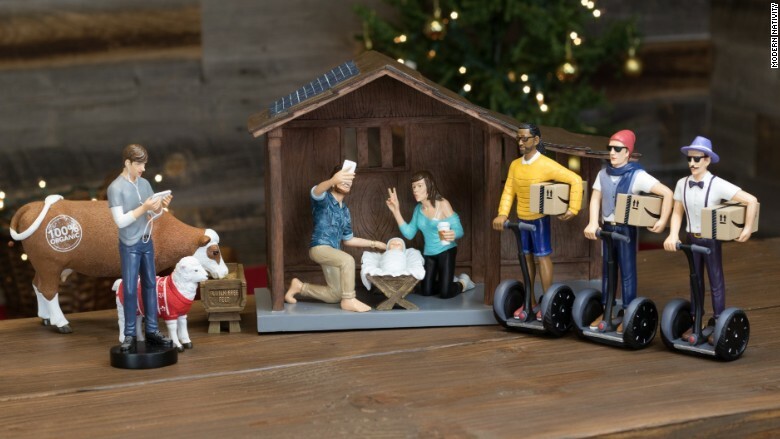 A new Hipster Nativity set ($130) depicts one filled with the Three Wise Men on Segways, and Mary and Joseph posing for selfies with Baby Jesus. 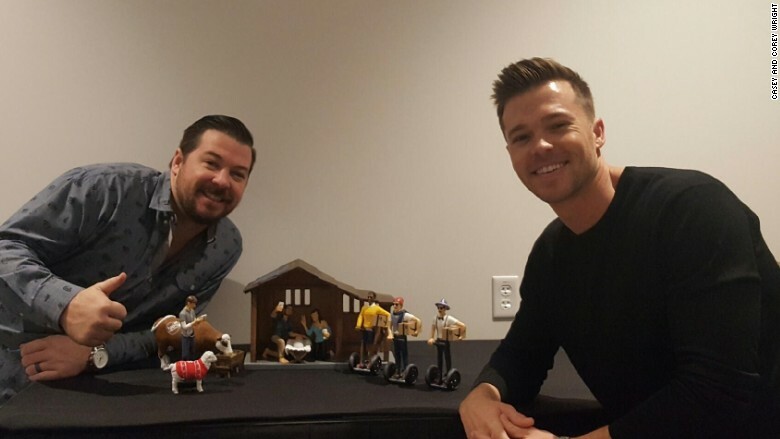 Entrepreneurs Corey Wright and his brother Casey, who run online novelty products business Gorilla Goodies, are behind the spin on the Biblical scene. 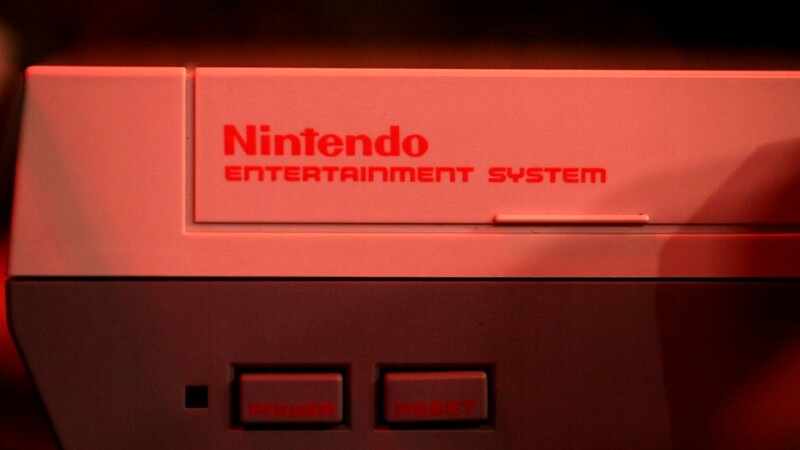 The duo have nearly sold out of its 5,000 unit supply. In the scene, Joseph -- sporting a man bun -- holds up a cellphone, Mary flashes a peace sign and Baby Jesus, wearing a beanie on his head, looks on. The Three Wise Men carry Amazon (AMZN) Prime boxes and a shepherd sends Snapchat messages. Nearby, a cow enjoys gluten-free, all-natural grass feed next to a sheep wearing a Christmas sweater. Oh, and there's a solar-powered stable, too. The Modern Nativity Set depicts a "hipster" version of the biblical scene of Jesus' birth. "Casey and I are always playing around with ideas for new fun products," said Corey Wright, who comes from a Christian household. "We started talking about what Jesus' birth would look like today." The Wrights sent the ideas to an illustrator and spent 6 months -- and $150,000 -- to turn the concept into an actual product. The Hipster Nativity set hit the market on November 21, and the brothers have already made a profit. "It was incredibly stressful," said Wright. "We had a small window of about 30 days to sell the sets." Wright believes a large bulk of their customers are millennials and their parents. About 20% of orders are from international customers. "Some people absolutely love it and understand it's not about blasphemy, but we've also gotten lot of criticism," Wright said. But their biggest surprise is this: "Many orders for the sets came from churches, pastors and reverends," he added.